Decompression for spinal stenosis can take various forms, ranging from surgery to traction to inversion to the modern and noninvasive systems, including DRX9000, AccuSpina, VAX-D and Antalgic-Trak. Decompression works to relieve pressure on the spinal cord or spinal nerves, by gently pulling the vertebral bones apart and acting upon some of the structures which might be applying force to the neurological tissues, including herniated discs. Spinal decompression is not indicated for all type of stenosis, but for appropriate conditions, this treatment offers a real hope for true and lasting relief from stenosis back pain and chronic stenosis neck pain. This patient guide examines the role of decompression therapies for resolving a diversity of stenosis problems in the vertebral anatomy. Surgical decompression for stenosis conditions is generally best used when the source of canal or foraminal narrowing is severe arthritic change. The procedure used in these cases is usually a laminectomy, foraminotomy, or both. Decompression surgery is also used for many disc conditions, such as herniated discs causing spinal stenosis, often in combination with a discectomy procedure or spinal fusion. Curative statistics are not very good for any type of back surgery and are particularly poor when treating disc issues. Many disc conditions are misdiagnosed as the actual source of pain, while even correctly identified causative disc concerns often re-herniate immediately or eventually after surgery, sometimes getting worse, not better. I always advise using extreme caution when considering spinal stenosis surgery, particularly for intervertebral pathologies. Traction is an antiquated notion and rarely does anything positive in its traditional form of confining the patient bed with attached weights or resistance devices to progressively separate the spinal bones over time. The usual result is continuing pain and muscular atrophy. This stone-age approach to care is a complete waste of time and statistically is usually counterproductive. Inversion is a popular do-it-yourself home remedy for some forms of spinal stenosis and neuroforaminal stenosis. I am not an advocate, but I have seen good results for some patients. Just remember that inversion can be risky for many patients, so it is always best to research the treatment thoroughly before using an inversion table or boot system for back pain treatment. 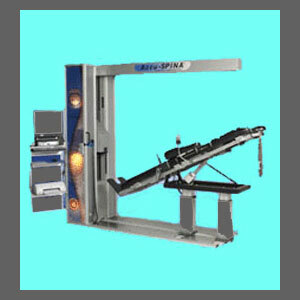 Modern spinal decompression, like the DRX9000, is perfect for offering a true cure for some types of back and neck pain. 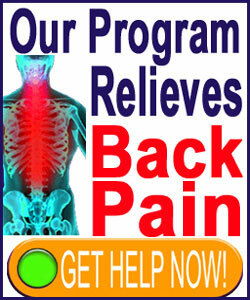 The therapy works best for herniated and degenerated discs which have been implicated as the source of pain. Nonsurgical decompression can treat some forms of spinal arthritis, as well, but not nearly as effectively or universally as soft tissue pathologies. As always, I advise avoiding surgery whenever possible. When it is truly needed, go with the least invasive approach which will get the job done and always take great time and effort in choosing a surgeon. Remember, your choice of doctor literally holds your life and future functionality in their hands on the operating table. Modern nonsurgical spinal decompression is a good option for many patients, since treatment duration and costs are finite and may actually cure the structural issues. This therapy is expensive, but the fees are slowly coming down as more care providers offer services. Just remember to always investigate the care provider and decompression system utilized prior to starting treatment, since not all are equal in their curative results.